OLD PARKED CARS. 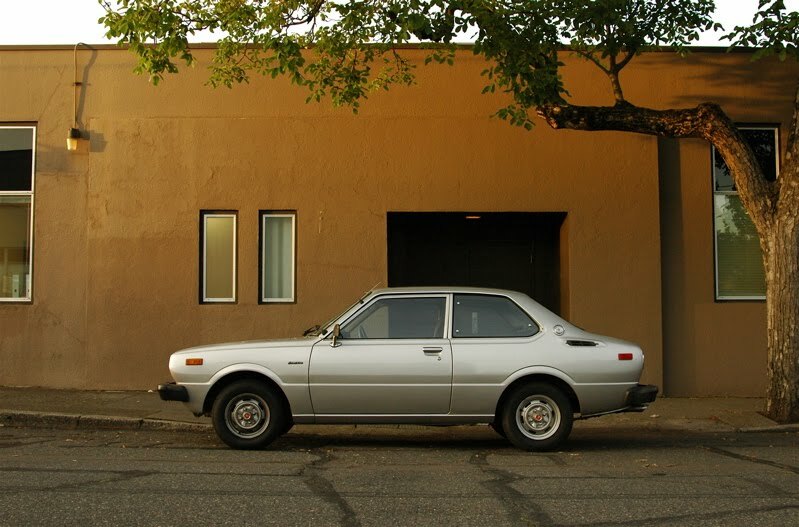 : 1978 Toyota Corolla Coupe. What a beaut. 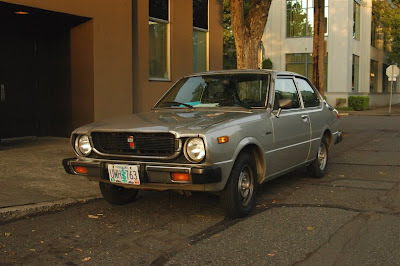 Now that's a car I'd be proud of if I were Japanese. What I like about this car is that it's NOT a deluxe. thanks, dan, i agree. this was my first day shooting the new dslr, (it's all been from a pocket point-n-shoot until this point), and i was so pleased to be able to adequately capture the beauty of this scene. that profile is a banner shot for sure. I got a 1975 toyota corolla deluxe. 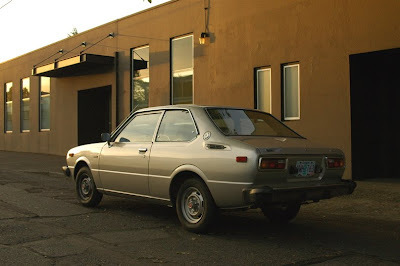 its 100% stock and I'm the second owner. But there is something about these models that i love. even more than the one i have. btw i'll list it soon on craigslist. just email me if your interested. :) dont mean to advertise~ Sorry!